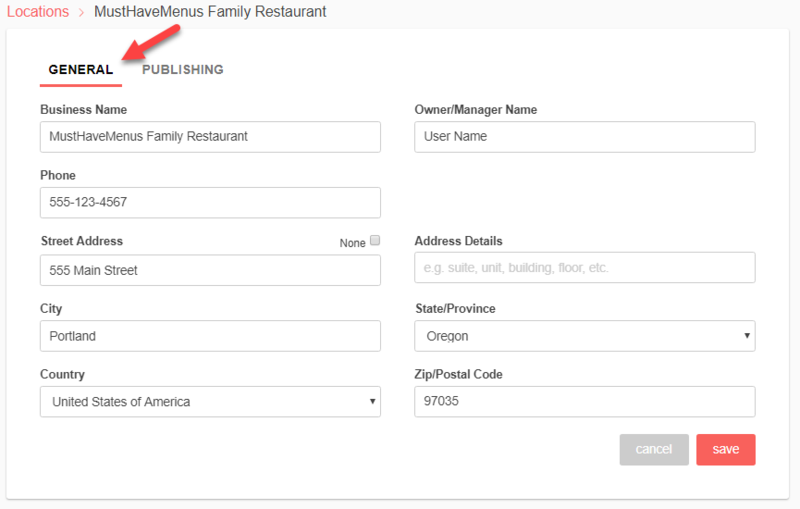 To create an account with MustHaveMenus, it is necessary to include an establishment name. 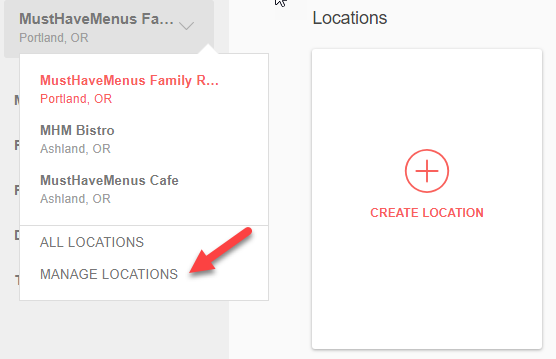 This creates a location folder on My Menus and stores the menus saved in your account. Add more locations to your account from My Menus. Click the location drop-down as shown below, then Manage Locations. Click the large Create Location button to begin. Enter your establishment location details in the General tab as shown below. Click Save to finish. Click the location drop-down as shown below, then Manage Locations. Your existing locations will be listed with the options to edit or delete. Click edit to change your business information including your business name, business adress, phone number, etc. Here's how to move menus from one location to another.